Home is fully furnished and totally updated with drywall finished walls, vaulted ceiling, upgraded appliances, with extra large storage shed. Entire home is turnkey and has a very motivated seller. Buyer must be approved by office prior to sale for background and financial status. 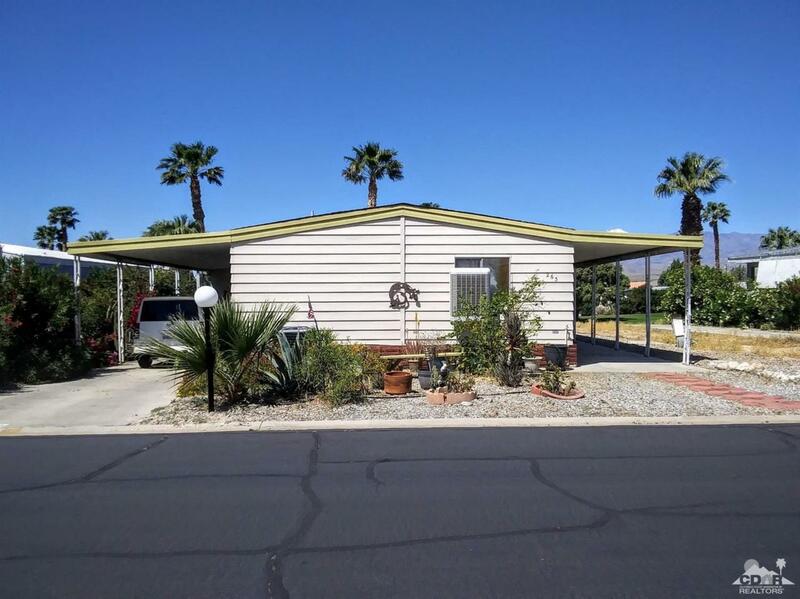 55+ gated community at Hidden Springs Country Club. Rent controlled. Two bedrooms, two baths, living room, dining room, kitchen and den laundry room w/ washer and dryer and plenty of cupboards with pantry. 1480 sq feet. Has two driveways beautiful garden. The additional amenities include, exercise room, library, clubhouse, pool room, large swimming pool, two hot tubs, sauna room, shuffle board court, tennis court, 9 hole executive golf course, pro shop and dog park. Listing provided courtesy of Susan Valencia of Valencia Real Estate.